Gone are the days when a budding musician or band had to depend on a record label and A&R representatives to record quality tunes in the recording studio. Thanks to the advent of technology in music production, you can now craft some sick beats within homely environs through your smartphone! 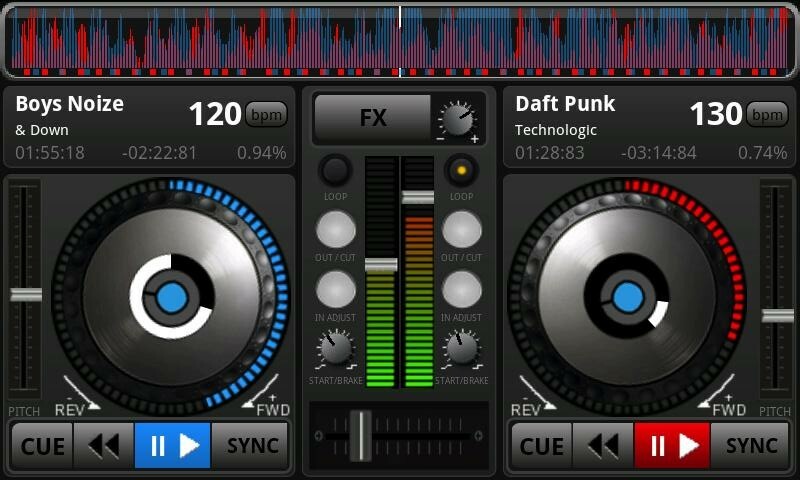 Nowadays, there are a gazillion beat making apps available in both Play Store as well as the App store. But, therein lies the quandary. How does one pick the best beat making app for themselves from a sea of apps which is also infested with downright bogus knock-offs? By going through our list of the best music making apps, of course! We made it a point to pick the best beat making app for android as well as iOS so that users with either of these two OS’ won’t be left in the lurch! The silver lining to recording, editing and mixing some fireworthy bass-heavy beats on a smartphone is that it’s actually a pretty fun process and you don’t need to be “experienced” at all. In fact, some of the best music making apps on our roundup provide some advanced fare that can be found in full-fledged DAWs so that you can create a decent beat within minutes by just a flick of the finger! If you have a flair for dropping some tasty beats no matter whether you are at home or on the prowl, you can make use of these slick beat makers! That being said, a beat making app is no alternative to DAWs. If you want to check out the best DAWs or the best audio editing software on the market (both free and paid) then click here. So, are you ready to find out the best beat making app or Android and iPhone, drop a classic mixtape and become a phenomenon? Let’s get started! Reigning on top of the beat maker heap is the remarkably popular and fan favourite, FL Studio Mobile, whose patrons can be counted amongst the likes of Post Malone and DeadMau3. Available on both App Store and Google Play Store, FL Studio Mobile is one of the best music making apps in the game right now. Part of the credit goes to its smooth and intuitive interface, but there’s more to it than meets the eye. For starters, you can avail features such as: a step sequencer for percussion programming, MIDI file export and import (single & multi-track), virtual keyboard, drum pads, and a high-quality audio engine with low input/output latency, etc. So much so, there is a prolific mixer console that can spruce up your mixes and helps you record multi-track audio seamlessly. You can also add a ton of effects such as compressor, flanger, auto ducker, delay, reverb, hi-pass/low-pass/formant filters and straight up enhance the sound of your mix. Moreover, FL Studio mobile comes with over 133 high-quality instruments and loops, piano roll editor to edit recorded performances and some supreme-quality synths, samplers, sliced-loop beats, et al. that will blow your mind. But, here’s the best bit, you can even wirelessly share your project with other people having FL Studio mobile installed on their iOS or Android devices. If you are seeking something profound, but not as complex as a DAW for laying down vocals, then Music Maker Jam is worth its weight in gold. Music Maker Jam is a simple beat maker app that can churn out firesome beats with ease and grace thanks to an 8-channel mixer for the perfect mixdown, and over 300 mix pads spanning across eclectic genres such as hip-hop, trap hop, house, EDM, rock, jazz, latin, techno, and more! To soothe your creativity pangs you can revel in thousands of studio-worthy audio loops that can be integrated into your beats, vocals, or even groovy bass lines and symphonic synth pads. In fact, Music Maker Jam is the best beat making app if you are someone who is always on the go and wants a program to adjust tempo, harmonies, clip song parts, and fiddle around with real-time effects during their daily commute. Interestingly, you can also share your finished mixes or tracks directly onto Soundcloud, Youtube, and Facebook, et al. directly from Music Maker Jam. Wait, there’s more in the offing: you also get to avail 10 free music style packs with this app! The most Popular free DAW for Mac has a stripped down version for iPhones and iPads, and we must admit the GarageBand app is one of the best music making apps in the audio recording ecosystem. Now you can record, compose or mix your songs from anywhere using up to 32 tracks, touch instruments and audio loops. Albeit, the novelty factor that makes Garageband a formidable music making app is its virtual session Drummer tool that encapsulates a gamut of drummers ranging from electronic to percussion-based groovers. 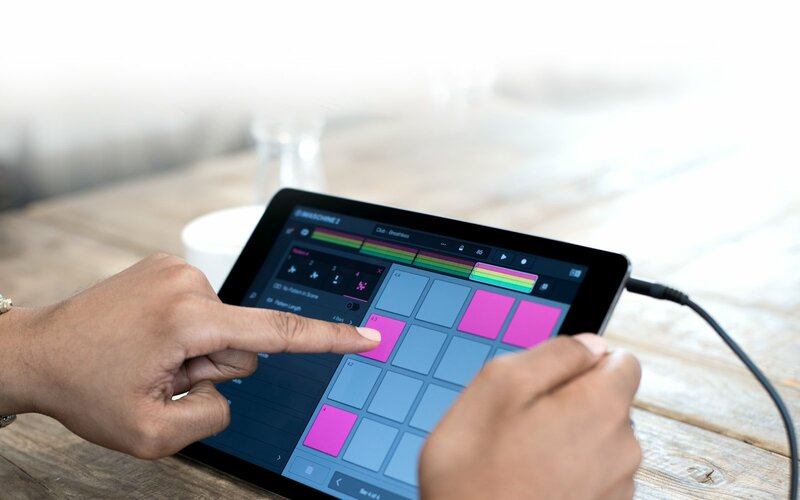 Coming onto GarageBand’s multi-touch gestures, you can play a gamut of instruments such as keyboards, guitars and create beats thanks to customized audio loops even if you haven’t indulged in beat making before. For those of you who are instrumentalists, simply plug in your electric or bass guitar (through an interface) and revel in an array of stompbox pedals, amp emulators and more! Also, GarageBand’s swanky Beat Sequencer can come in handy for laying down those thumping beats made from electronic drum machines. Moreover, if you are a fan of DJ-style effects, you can use GarageBand’s remix style FX, trigger live loop cell, and record from scratch using loops from GarageBand’s sound library. In fact, even synth lovers would love GargeBand’s polyphonic aftertouch, smart string orchestra, studio-class FX, and playing/recording via the Alchemy synth (for iPhone 6 & later). However, the only downside is that multi-tracking would require a third-party compatible audio interface. If you are familiar with Reason, the slick DAW by Propellerhead, chances are you might as well already know of the splendid Figure app that can transform your iPhone or iPad into a production studio. It has all the bells and whistles one would need to lay down a beat or craft a meaty bassline within minutes, irrespective of their skill level. For the more nuanced professionals, Figure still remains a deep and mystical beat creator that can keep you hooked for hours on end. Figure’s drum, bass and lead synths are otherworldly. You can use the arpeggiator to create melodies from chords, play in varied keys and modes, boost bass and lead parts using Thor synthesizer, or simply loosen up your beats, and harness the strength of drums bolstered by Reason’s Kong drum machine. 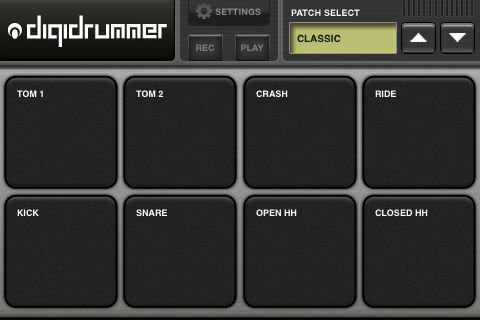 What more can one ask for in the best beat making app of their dreams? 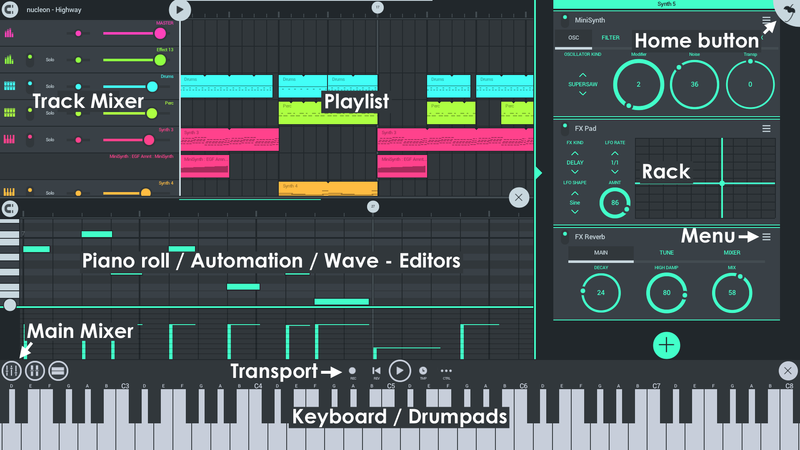 So much so, users can tweak around the rhythm, and program drum beats in a jiffy thanks to Figure’s smooth and intuitive UI which is perhaps the finest on our list of the best music making apps. Lastly, you can share your mixtapes, beats and sounds on Allihoopa, a social platform where beatmakers can exchange song ideas, and find hooks or beats that can inspire them. Looking for a snazzy beat maker app that follows the ethos of Drum Pads? Well, Hip Hop Pads fits right into that description. 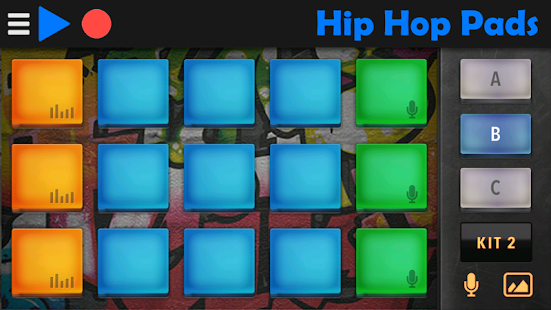 You can seamlessly create Rap, Hip-Hop and Trap Hop beats in a jiffy with this splendid app simply by touching the screen and doing some tweaks. So much so, if you are an EDM aficionado you won’t be disappointed either. 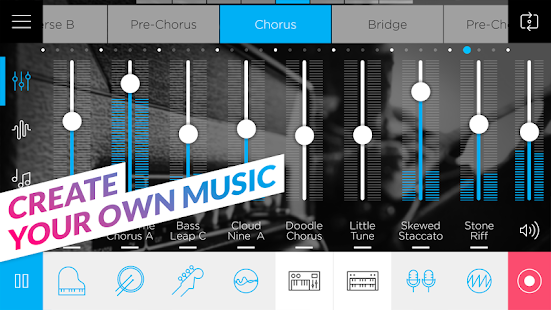 So what exactly makes it one of the best music making apps on the market, you ask? Besides providing studio audio quality, Hip Hop Pads boasts 6 complete kits of Rap music samples, over 90 realistic and varied presets, all paired well with a recording mode that allows users to share beats with their friends. Ease-of-use is another factor that draws in more budding beat creators especially on the beginner threshold. It is worth noting that Hip Hop Pads is free, however, you will find yourself getting constantly swamped with ads unless you purchase the license, which seems to be the only downside to this app. Boasting a user-friendly and responsive layout with custom skins, DJ Studio 5 is absolutely free of cost and comes with 2 virtual turntables with crossfader, a unique scratch engine with disc physics, one recall/cue point per deck, IN/OUT beat based audio loops and 8 snazzy sound effects such as Noise gate, reverb, phaser, bit crusher, 3D, Flanger and FlippingDouble, etc. Wait, there’s more up for grabs: you can live record your mixes with an inbuilt recorder, choose from over 10 customizable sample pads, and use a 3-band equalizer for each deck. Besides, you can record your beats in automatic landscape or portrait mode and share them on SoundCloud, Facebook or Twitter with your fanbase. 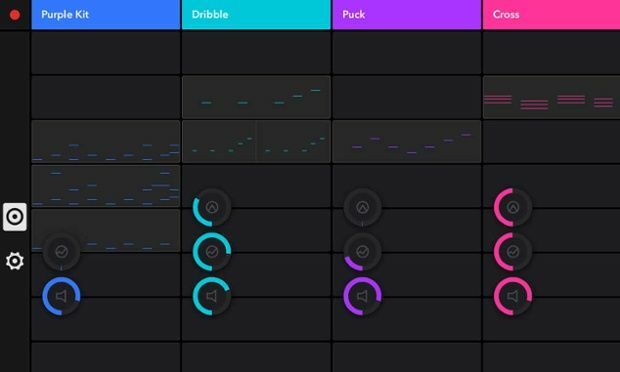 Another versatile beat making app on our list, iMaschine 2 lets you forge a beat on 16 pads backed by hundreds of sounds for real-time groove production and drum sequencing. It boasts a smart play keyboard that can add basslines, arpeggiator features and melodies within the key of your tune. You can also spruce up your track with vocal recordings, field recordings or heck even some samples off iTunes. 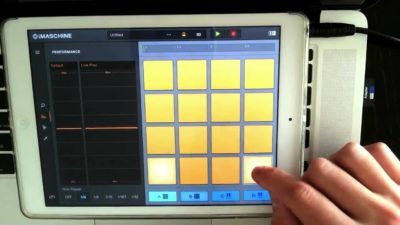 But what makes iMaschine 2 the best beat making app for turning your loops and samples into full-fledged beauties is its Arranger tool that can structure your tracks by adding or moving various patterns on the fly. Also, you can swiftly create beats without finger drumming using Step mode and use Note Repeat in Keyboard and Drum pad modes to create fast note attacks, drum fills, et al. with note ranges from ¼ notes to 1/32 notes. The most intriguing bit about iMaschine 2 is that no matter what device you are on, iPhone or iPad, this beautiful app will adjust its resolution to your device’s screen size for optimal experience. Of course, you can choose from a multitude of additional drum kits, samples, audio effects and export your songs directly to SoundCloud to be shared with the world. With BeatMaker 3 at your command, you can expect unmatched finesse and depth in your beats through this intuitive audio and MIDI workstation. In fact, Beatmaker 3 mashes the strength of a traditional DAW and real hardware into one single tight-knit production studio. It is the best beat making app for those who prefer a streamlined workflow on their iOS devices through performance tools such as roll, swing, resample, key scales and ZPlane’s Elastique live stretch and pitch shifter so that you can adjust your tempo in real-time. You can also avail over 128 banks of 128 pads, a full-fledged mixer for multi-channel recording, integrate third-party AU plugins, and a vintage timeline-based pattern and song editor. 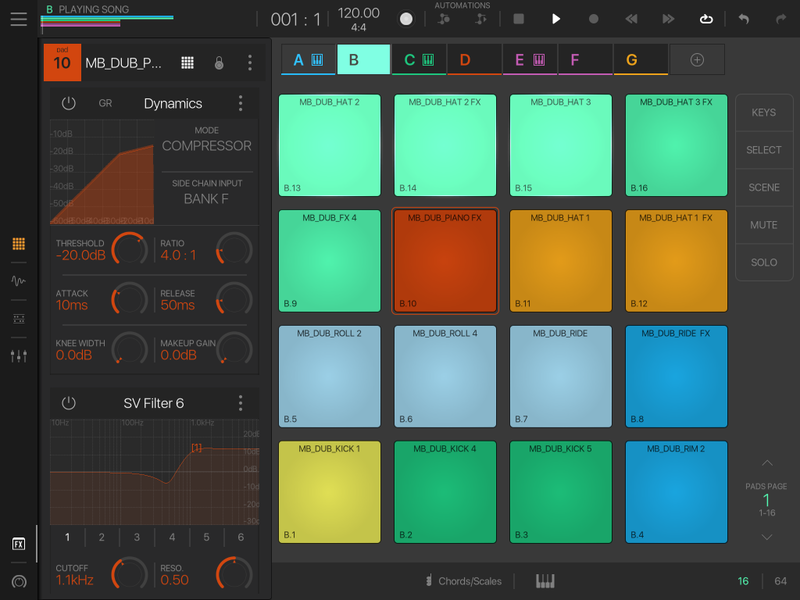 What else makes Beatmaker 3 one of the best music making apps? Its brand new flexible Scene Mode has made it possible to seamlessly loop and arrange clips especially for live performances. 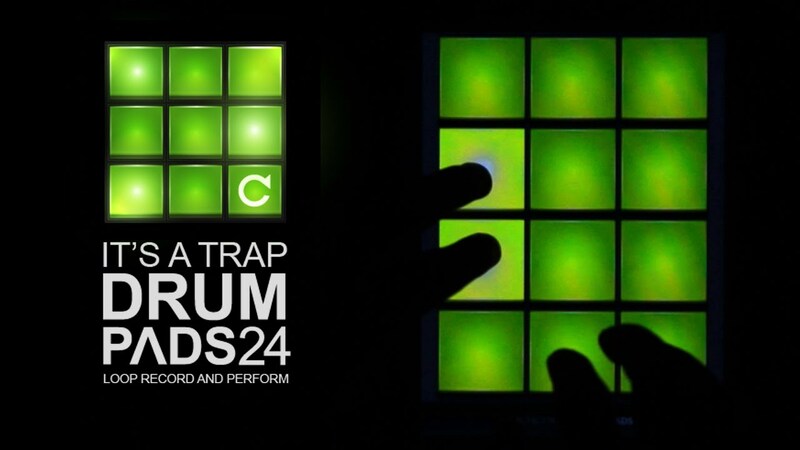 Another entrant on our list of the best music making apps which is starkly similar to Hip Hop Pads app but in a good way, Drum Pads 24 is a classic drum pads sampler and beats creator that can be used for purposes aplenty – from beatboxing to playing loops and finger drumming! If you are a fan of hip-hop or rap or are just getting into a music production software and want to drop a mixtape, then Drum Pads 24 is certainly the best beat making app for you. Although it can be used for fans of varied genres traversing Drum-n-bass, EDM, electro, trap hop, Dubstep, and more! For starters, you can use over 2800 quality sounds in its expansive sound library, 24 drum pads, pitch audio effects, a step sequencer to create beats, popular EDM sound packs, and a nifty Pad Editor to craft the perfect rhythm patterns for your songs. In fact, the sample sounds are pretty high-quality for a smartphone app (16-bit, 44.1 KHz). Further, you can record and share your songs directly to SoundCloud, YouTube or Facebook. 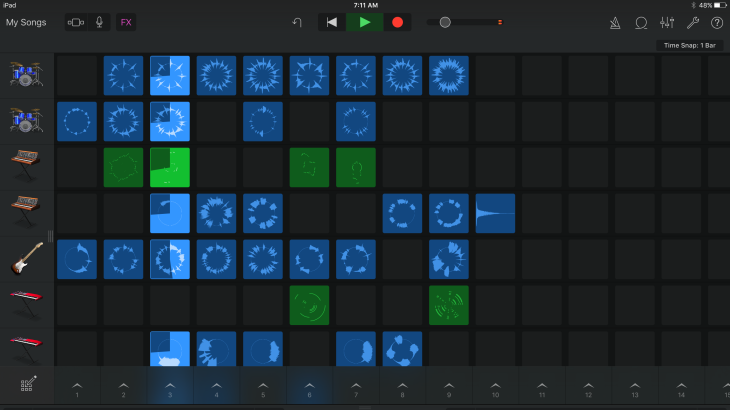 Rounding off our list of the best music making apps is DigiDrummer Lite that still retains its charm as perhaps the best beat making app (especially for drum beats) on an iPad or iPhone after all these years. It’s a completely free app that boasts 8 solid drum kits, high-quality 16-bit drum samples, and supports low latency for that much sought-after sonic precision. You can create some sick beats within minutes in a totally fun and practical manner thanks to its intuitive and smooth interface. However, what makes it perhaps the beat beat making app for iPhone is that you can play it along with your iPod’s music and track the progression of your beat making prowess side by side. So much so, the interface was designed specifically for creating beats strictly keeping in mind the touch-based dynamics of iPhones and iPads. And…that’s a wrap! Did you like our list of the best music making apps? Did we miss out on any apps that you know of? Sound off in the comments!